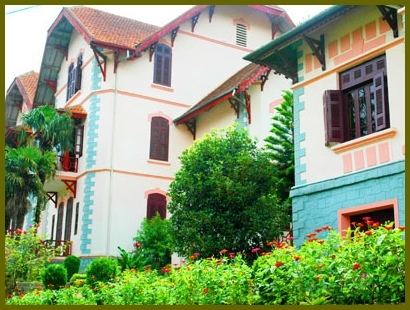 Located on the street of same name as the town centre, next to the famous Cathedral, Ham Rong Hotel has become popular with travelers since the early days of Sapa tourism. The hotel has a restaurant serving European, Asian and Chinese foods. The hotel also has a massage room for your relaxation. 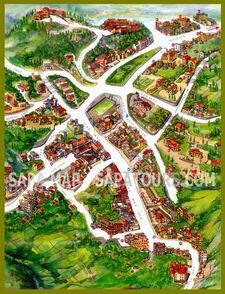 The hotel also provides motorcycle rental and trekking tours to Sapa's ethnic minority villages. 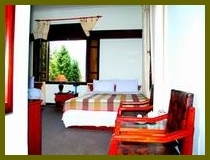 Superior Room: Large rooms, which are clean and comfortable. Also has a living room. 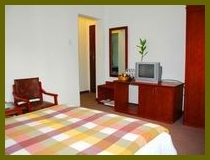 Deluxe Room: Large rooms, which are clean and comfortable. Also has a living room, and a window facing the garden. Suite Room: Suite includes a living room and a bedroom with queen size bed. The suite is large and has a sofa, satellite TV, IDD telephone, minibar. The window and balcony open toward the lovely Sapa valley and the hotel garden. Head Quarters: 173 An Duong Vuong street, Hanoi, Vietnam.